India – one of the world’s fastest-growing large economies – is finally about to introduce a new taxation system, including a plan to tax the country’s digital economy. As reflected in recent international approaches, the trend of enacting destination-based indirect tax legislation is to the fore. Ever since the release of the Organisation for Economic Co-operation and Development (OECD) Base Erosion and Profit Shifting (BEPS) report in October 2015 tax jurisdictions across the globe have taken stock of their existing tax collection systems and reassessing options. G20 member India is the latest in a long line of tax jurisdictions to do so, most have produced tax legislation modernising their systems and benefitting from the digital economy’s success. When it comes to drafting, and implementing, plans to tax the digital economy tax authorities have taken their lead from Action 1 of BEPS. The key phrase in this section of the report is: “help level the playing field between foreign and domestic suppliers.” This is a phrase that is often repeated in new pieces of legislation aimed at taxing digital services, or, to be more precise, the supply of digital services by foreign companies to domestic consumers. It is the imbalance of taxation particularly between domestic business-to-consumer (B2C) supplies vis-a-vis the equivalent supply from a remote, non-domestic, supplier that is the crux of this taxation issue. The plethora of new rules (remember New Zealand, Russia, and Australia will all introduce new digital tax legislation over the next 12 months) mean that multinational digital service suppliers must be aware of these taxation trends. There has been GST bill fatigue in India over the past decade but legislators have seen the light. On Wednesday, August 3, India’s upper house, Rajya Sabha, finally passed the GST bill that will lead to major reform of India’s taxation system. It remains to be seen what the GST rate will be set at. This GST bill will include new measures to tax the digital economy. This is not completely new territory for India, as the government has already enacted a type of tax on digital services. 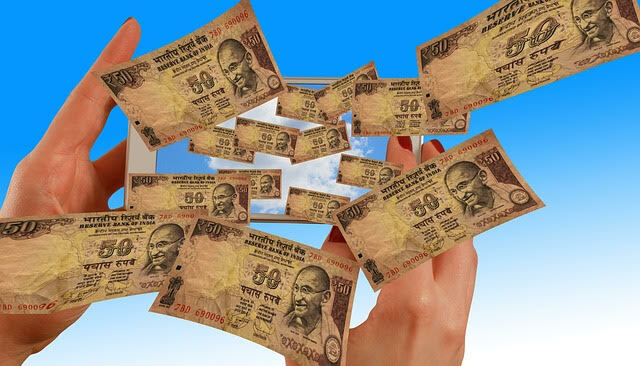 In March 2016 India introduced a 6% equalisation levy on online advertising revenues, but only applicable to B2B transactions. In addition, the levy is not applicable to international suppliers with an existing permanent establishment in India. The process to create a new GST system in India has been a laborious and complex one. However, there are now signs of legislative movement with analysts predicting that a new indirect taxation system could be in place by April 2017. If passed it will be a major overhaul of the taxation system in India as it will absorb most existing indirect taxes into one nationwide system. Currently, there are value-added taxes (for sales within a State) and central state tax (CST) for sales between States, the plan is to integrate all these taxes into a single system. The GST bill itself will be a dual-system with a central GST and a State GST, as opposed to a single GST favoured by the likes of Canada, Australia, and New Zealand. There has been a lot of debate between the Government and individual States and the GST bill that is to be debated in Rajya Sabha this month plans to compensate States for their revenue loss, particularly the prominent manufacturing States. This is the first step for India in its plan to broaden their tax revenue base. It is creating a new internal taxation system, that in itself is a major reform. It is natural that the digital economy will be targeted, and it also natural that, in time, foreign digital service suppliers will have to comply with the new rules. At stake here is an increased share of the revenue from a growing eCommerce market. According to a recent report by the Associated Chambers of Commerce and Industry (Assocham), India’s eCommerce market is likely to be valued at USD$38 billion this year, a 67% jump from the USD$23 billion it clocked in 2015. Within this market there’s also the lucrative Indian digital media segment, one that amounted to USD$2.3 billion in 2016.